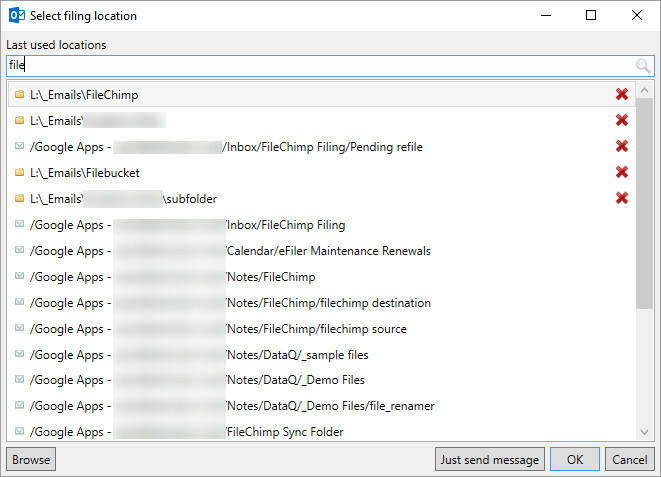 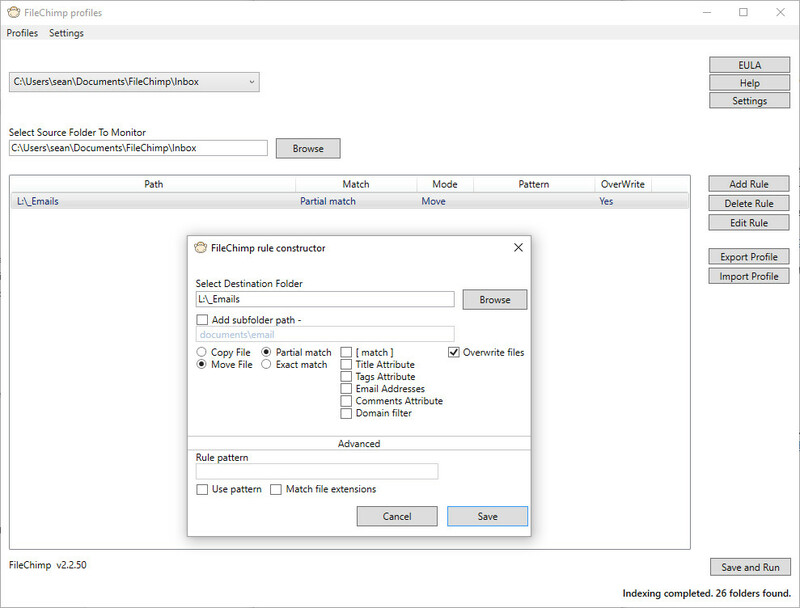 Define a single pattern to match and observe as FileChimp saves your emails into relevant network folders. 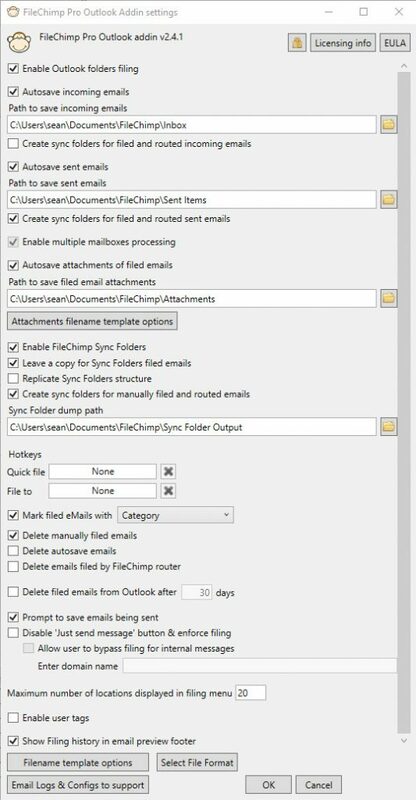 Automate email filing with 100% accuracy. 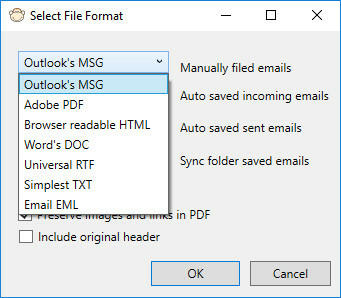 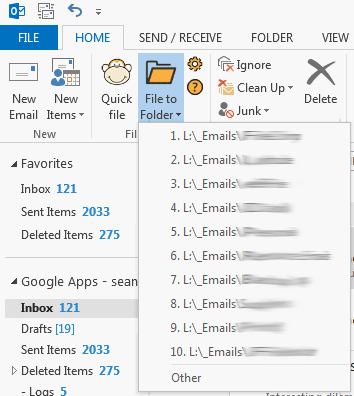 Works with office 365 and Gmail accounts using Outlook. 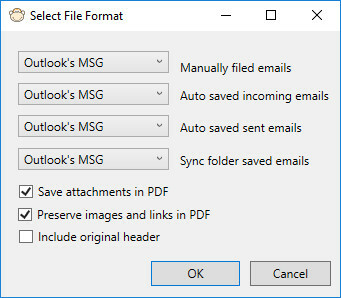 Compatible with Outlook 2010, 2013 and 2016(64 and 32 bit).